Sure, people gawking over your flashy, expensive vehicle can get annoying sometimes. Just ask our pal Doug DeMuro about his Ferrari 360 Modena, if you’re curious. But when you get attention from a kid like this, a kid willing to crash his bike for a photo of your car before you drive off—nothing beats that. 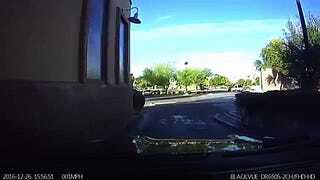 This video, posted by the owner of a Nissan GT-R from his dash cam, starts off pretty normally in dash-cam terms: just some car leaving a drive-thru. But then a “GT-R! OH MY GOSH! Hey!” scream comes from somewhere off of the screen, and an excited kid on a bike comes flying into the picture soon after. The kid ate some concrete in order to get his photo of the GT-R, but he didn’t seem to care very much. The kid looks physically OK, and he got that all-important GT-R photo. The battle scars will be something to show in a few years.